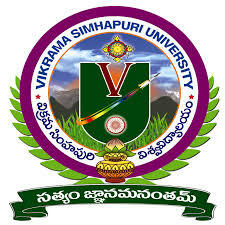 The establishment of Vikrama Simhapuri University was done by the Andhra Pradesh State Legislature under section 22 of the UGC Act; 1956.The University conducts programs in different courses of Post Graduate courses, Research Programs and Ph. D degrees. The university recognized from the UGC. Under Vikrama Simhapuri University there are more than 127 colleges. The University has been funded by agencies like ICSSR, DBT, and CSIR for many research projects of the university. The Core Purpose of the university is to make the better society through nurturing intellectual growth and improving the academic and professional standards. • The University is dedicated to imparting knowledge, inculcating intelligence and enhancing creativity so that it may help the students on a path of self-discovery. • It encourages personal and academic growth to prepare students for dynamic careers, meaningful lives, and dependable citizenship in a global society. • The Vikrama Simhapuri University promotes the environment conducive to the student’s nurturing of their own potentials. • It has a world-class library, conference and seminar halls, and a residential hostel for boys and girls. • It helps the students to get deeply connected with the university fraternity as well as university environment. • The university has the well –experience and highly qualified faculty which enhance the student’s knowledge to a great extent. Are you Interested in Vikrama Simhapuri University.